Opening hours: Monday to Saturday: from 9am to 7pm & Sunday: 11am to 5pm. Sponsored & hosted by The Galleries Shopping Centre. Decorated by Miss4ire. @streetpianos my entry for #BristolStreetPianos competition @ the galleries - love the project. Reposted from @FantasyOrch original Tweet. This was a great piano ina great location. I enjoyed palying this one. Bristol Piano Man in action! Great to see so many people enjoy this! Guy was playing Mad World, the sound was epic. Very apt for the current state of affairs! Glastonbury piano tuner Steve, who is helping The Piano Shop Bath deliver and install our pianos, was the first person to play this piano when we installed it on Tuesday 15 August - sounds great doesn't it! First person to try this one out this morning. 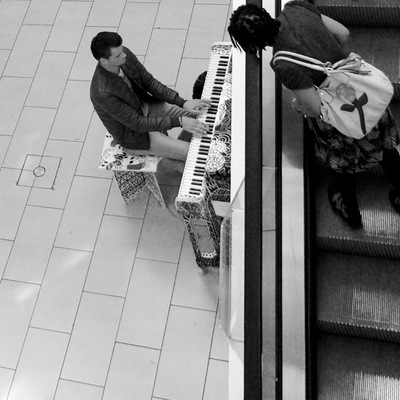 First piano delivered and installed on the ground floor of The Galleries Shopping Centre today! The Fantasy Orchestra and friends, led by conductor and arranger Jesse D Vernon playing Prokofiev's Dance of the Knights at the #bristolstreetpiano media launch at The Galleries Shopping Centre on Monday 14 August 2017. 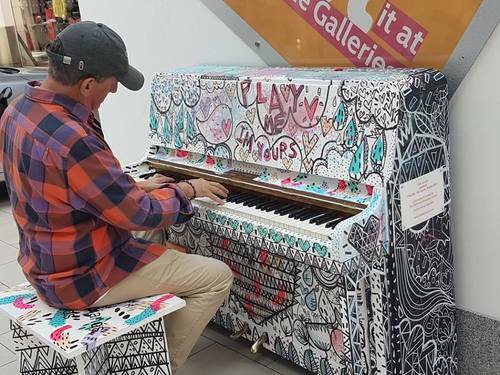 The Fantasy Orchestra launching Play Me, I'm Yours: Bristol Street Pianos 2017 on Monday 14 August at The Galleries Shopping Centre in Bristol. Arranged and conducted by Jesse D Vernon. Playing David Bowies' Life on Mars sung by Jimmy Goodrich accompanied by nine pianos and friends. 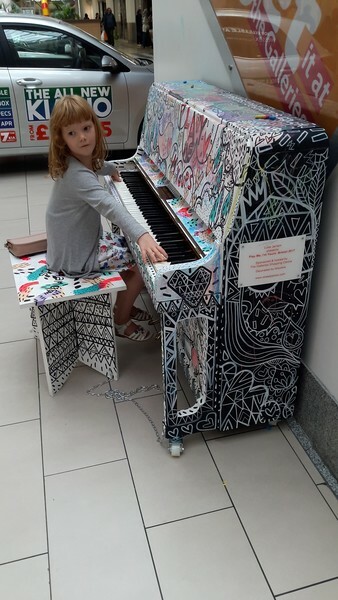 Take a look at 10 of the 18 decorated Bristol Street Pianos at the media launch today.